DLI, manufacturer of tablets, in-vehicle computers, and mobile point-of-sale (POS) devices announced the release of the DLI 9000 rugged mobile tablet and 5-in-1 mobile payment module option. Designed by DLI, the 5-in-1 payment module includes a magnetic-stripe, debit pin pad, contactless payment (NFC), EMV, and bar code scanning. 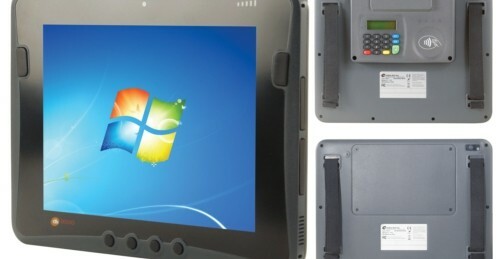 The rugged tablet is an ideal solution designed to capture the customer and complete the sale. The DLI 9000 features an impact-resistant IP54 enclosure and weighs less than two pounds. It also features an industrial rated 9.7″ indoor/outdoor LCD touch screen, a variety of ports, and multiple radio communications including Wi-Fi, Gobi, Bluetooth, and GPS capabilities. 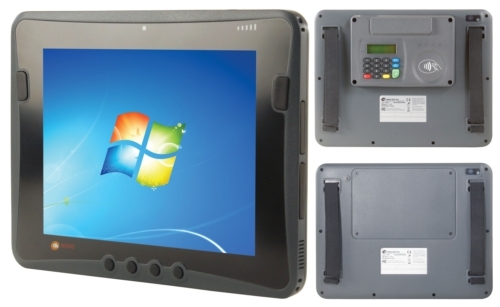 The DLI 9000 rugged tablet offers a secure and convenient way to pay with a PCI compliant debit pin pad and integrated TPM chip set. The DLI platform further offers increased flexibility in the management and maintenance of both OS images – Windows or Android – and OPOS/JPOS compliant drivers.